Independence Gold Corp. (TSX.V:IGO) is a mineral exploration company with projects located in British Columbia and Yukon. Our portfolio ranges from early stage grassroots exploration to advanced-stage resource expansion projects. The Company is positioned to add shareholder value through systematic project advancement. At the same time, management continues to evaluate additional gold and silver projects for possible acquisition. Independence continues to explore and advance the 3Ts Project for additional high grade gold mineralization. The Project hosts three substantial mineralized quartz veins that contain NI 43-101 inferred mineral resource estimates for both gold and silver. 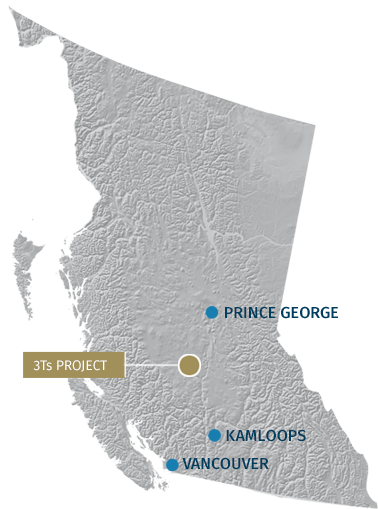 Located southwest of New Gold’s Blackwater project, 3Ts is strategically located to add shareholder value as exploration and mining advances in the region. Independence maintains its Boulevard and Moosehorn projects. 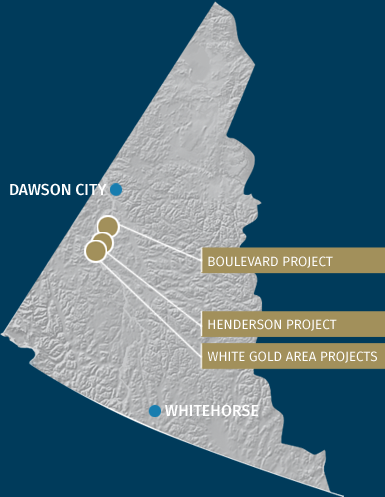 The Boulevard Project, located contiguous to the southwest of Goldcorp’s Coffee Project, hosts three main zones of gold mineralization: Denali, Sunrise and Sunset. These zones have been identified and confirmed by soil sampling, trenching and drilling. Further west, the Moosehorn Project hosts a significant anomalous gold zone identified on surface and untested by drilling. The Company looks forward to continued success on these projects as we advance the story and our understanding of the geology.